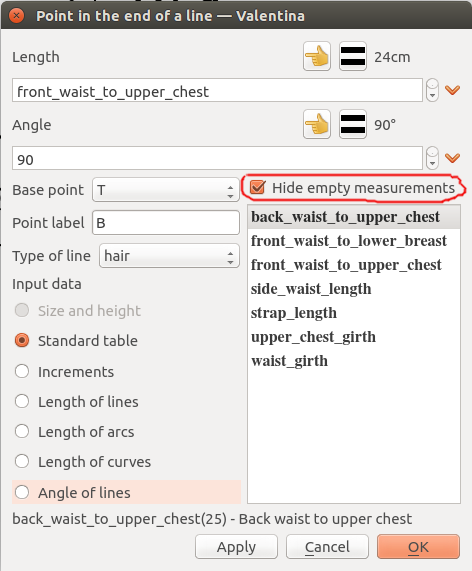 For quick search measurements we add checkbox that allow hide not used measurements (that equal 0). But it is not that we can to do. 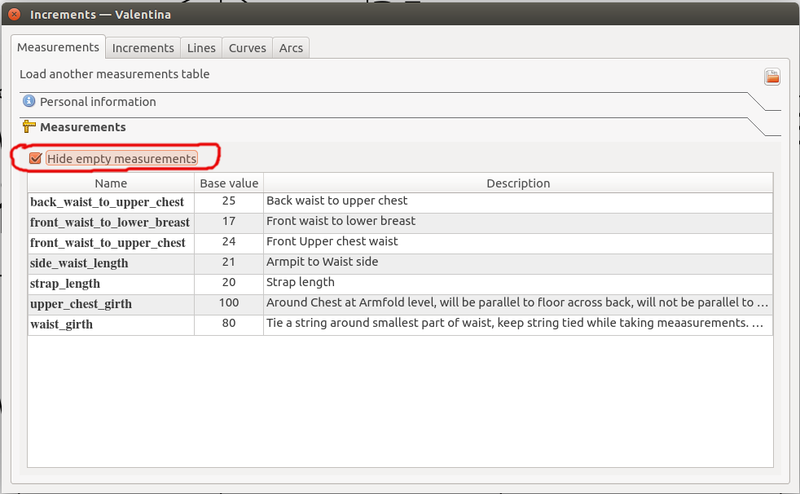 If to add search field user will have way quick seek strings (name, description) in table and also values. Combination of two filters make work with measurements easier. I think better to add this function in VMeasurement class that will to get string and return true if substring is exist in value, name or description. Also good idea to highlight found sublines (not sure if this possible). P.S. This ideas not my. It is all my sister. These are really great ideas. It sounds like you want to implement both the checkbox option & the search field filter. New issue 172: Search field for dialog measurements. Yes, checkbox we already have. But now i need two new tools if want create a pattern, so i left this issue for future. But it is not that we can to do. I want to say But it is not all that we can to do. My sister begin testing program, all bugs that i fixed last several days from her. Now my plan is to add two new tools, create a pattern, create video, to add new post in blog where describe process creation. After this will left not much time before MeshCon. I think we will release 0.2.8. But only for Windows. Launchpad still doesn’t work for us. Also don’t see progress with Mac package either. Would the search field filter list the matched measurements where the user can select one?